The event provided an opportunity to share perspectives and increase engagement between U.S. and participating West African economies. More than 140 participants attended the workshops collectively, which featured presentations by U.S. speakers from the American Water Works Association (AWWA), ASTM International, and Western Transportation Institute (WTI), as well as the national standards bodies from each of the participating countries: Association Sénégalaise de Normalisation (ASN, Senegal), CODINORM (Cote d’Ivoire), and Ghana Standards Authority (GSA). 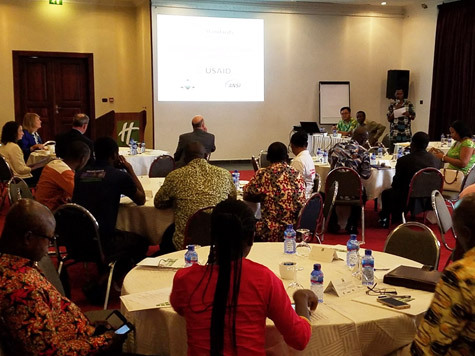 To broaden the reach of the event, ANSI partnered with the USAID-funded Analytical Support Services and Evaluations for Sustainable Systems (ASSESS) project to include a small number of participants from other West African countries. 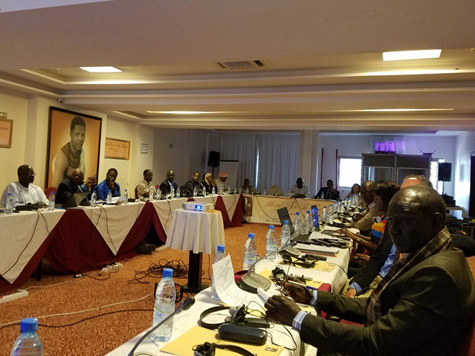 Regional participants included members of the national standards bodies from Benin, Guinea, Mali, Sudan, and Togo. 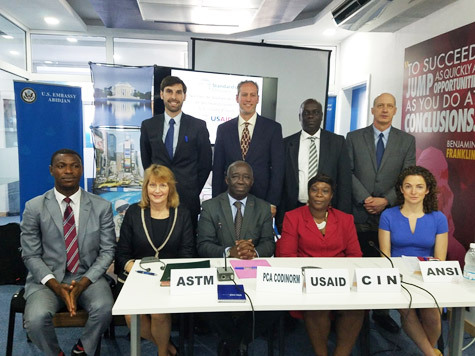 During the workshop series, ASTM International signed two Memorandums of Understanding (MoUs) with CODINORM and ASN. These agreements will grant CODINORM and ASN free access to more than 12,000 ASTM standards as well as access to technical experts to aid in the adoption of ASTM standards. 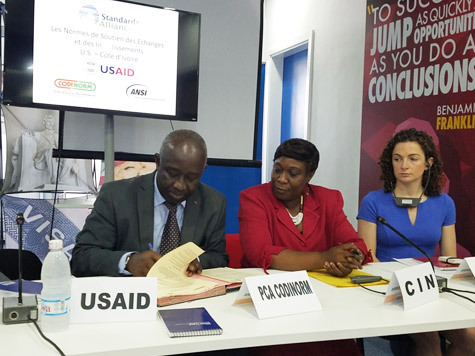 The roadshow concluded in Dakar, Senegal, on April 5, 2017, with a workshop co-hosted by the Senegalese Ministry of Commerce and ASN. 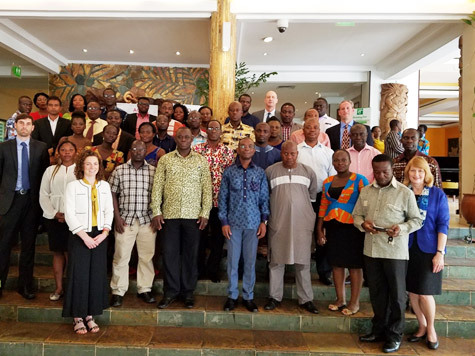 This final workshop was attended by 35 participants and included presentations by ANSI, ASN, ASTM International, AWWA, SENELEC, Sénégalaise des Eaux (SDE), and WTI.